With names like ‘Voyage of the Glaciers Grand Adventure’, ‘Glacier Discovery’, and ‘Fjords and Frontiers’ it may be hard to decide on which magical Alaska cruise you’d like to take since they all sound so picturesque. No matter which of the many itineraries you choose though, the scenery will be stunning, the wildlife will be tremendous and the Alaska shore excursions will let you do things you may never have thought of before… all in one amazing trip. Most cruise lines have Alaska cruises on their schedules, and you can choose from a variety of itineraries including one way northbound or southbound, seven night round trips and cruises that have vacations within your vacations at either end, depending on how much time or how much money you would like to spend. 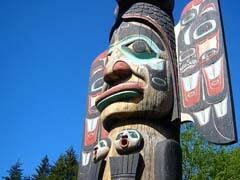 The most popular cruises to the majestic beauty of Alaska depart from Vancouver, BC which is the gateway to the Inside Passage and beyond, but they can also start and/or end in Seattle as well. Just what can you expect to see on an Alaska cruise? Although all companies have their own itinerary, most cruises will go through the Inside Passage. This is a winding route through the many islands that sit along the Pacific coast that give stunning views no matter which side of the ship your room is on. 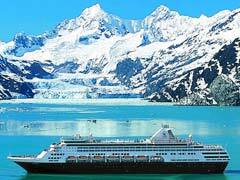 Glacier Bay National Park is a World Heritage Site and another place your ship may sail. At 600,000 acres of protected marine ecosystem and soaring glaciers this place may just take your breath away with its beauty. Nine tidewater glaciers reside in the park as do grizzly and black bears, mountain goats, sea lions, humpback whales, salmon, bald eagles and Pacific white-sided dolphins. Your Alaska cruise may also take you through the Tracy Arm Fjord which will allow you to see the twin Sawyer glaciers, the Hubbard Glacier of College Fjord, all with stunning scenery and glass-like waters not to mention ice that seemingly goes on forever. The best time to cruise to Alaska is between May and September, with July and August being the busiest and therefore most expensive to travel. No Alaska cruise would be complete without some shore excursions to heighten the experience of being in ‘The Last Frontier’ so here is just an overview of what you can participate in if your ship stops at these ports of call. Alaska shore excursions in Juneau, the capital of the state include a Glacier dogsled tour via helicopter, whale watching tours on the water off the coast, helicopter ice field discovery tours, glacier flightseeing by floatplane, sled dog rides and a visit to the musher’s camp and a rainforest canopy zip line tour. If your cruise stops in the lovely town of Ketchikan, you won’t want to miss the beautiful Misty Fjords National Monument which is a stunning sight when seen by floatplane, or the crab fisherman’s tour to allow you to see how the lives of crab men unfold each day. Bear watching at Traitor’s Cove is also a popular Alaska shore excursion as you get to see the magnificent beasts roaming in the meadows looking for berries. For something completely different there is the Mountain Point Snorkel Adventure. Yes, you read that right, you can snorkel in Alaska! It does require a thick wet suit, but the plume worms, crustaceans, sunflower stars, pink salmon and many other unique species will more than make up for the get-up required. The town of Skagway is another frequent stop on Alaska cruises and here Alaska shore excursions can take you on the White Pass Railroad Summit excursion where you are whisked away on an old-fashioned train deep into the lovely wilderness. The Chilkoot horseback adventures wander tourists through the picturesque fields and valleys atop a trusty steed (or trail horse in this instance) and there is also rock climbing to be had which will not only test your mettle but give you soaring views of the area. The Sitka harbor is a lovely place to just sit and relax, as you watch the colorful fishing boats, but it is also the site of another Alaska shore excursion in the harbor and islands kayak tours. This used to be a Russian outpost and today cruise passengers can take part in the Sea Otter and wildlife quest where otters are not the only animal to keep a look out for. 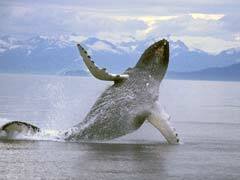 Check out bears, whales and eagles to name just a few as well. Alaska cruises get you up close to some of the most breathtaking scenery in the world and when you partake in Alaska shore excursions as well, you get to further explore all that Alaska has to offer. The beauty of this largely untamed land to the north is easily accessible and a breathtaking way to spend your vacation.